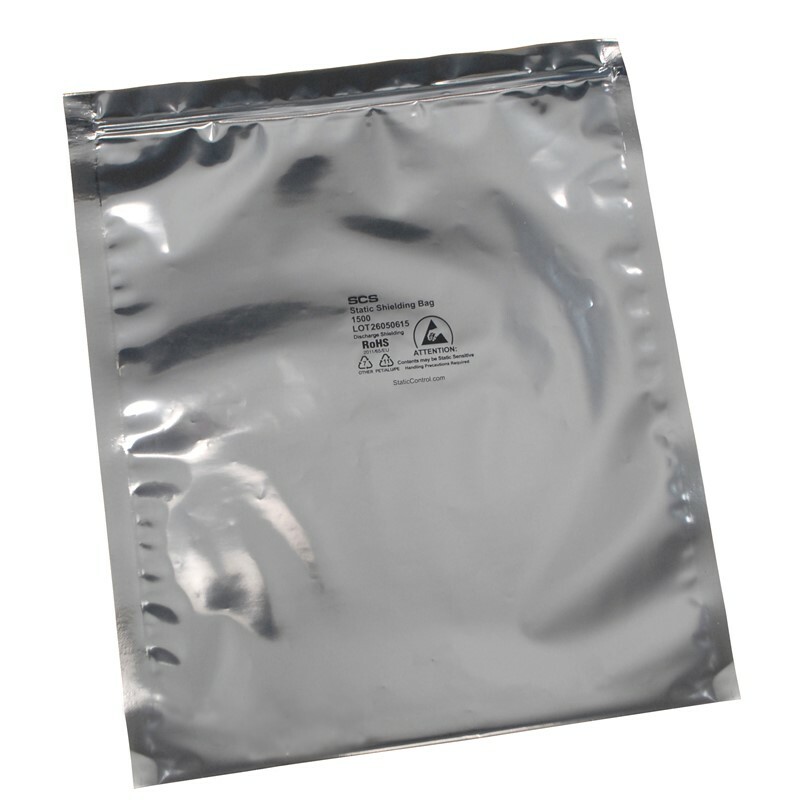 Metal-Out lower exterior resistance retains less electrostatic charge than Metal-In bags. Protects ESD sensitive contents from electrostatic fields and electrostatic discharges (ESD) outside the ESD Protected Area. ElectroStatic Charges removed when placed on a grounded surface or handled by a grounded operator. This is a silver metallized metal out shielding bag for Electrostatic Discharge (ESD) sensitive components.